My Uncle Ken was killed in 1945, near the end of World War 2. This is a memorial to an uncle I never knew, as remembered from family oral history and from what I can find online. My maternal grandfather Robert David Lloyd was born in June 1894, near Carnarvon in North Wales. He served with the Welsh Fusiliers in World War 1, learning to speak English while in the army. He was badly injured in action, his life probably saved by a prayer book in his breast pocket. He married my grandmother Florence Annie Davies (born September 1901) in 1921. Kenneth William Lloyd was born in 27 May 1922 in the district of Forden. Two brothers and two sisters were also born in Wales. The family wanted to emigrate but couldn’t get assisted passage due to my grandfather’s health as a result of his war wounds. He was an electrician, and also a keen photographer. In the late 1920s sold photos he had taken of a train crash to the press, and the money from this was enough to buy tickets to New Zealand. they reached their final destination, Queenstown, in 1929. Three more children were born there, including my mother. The Wakatip Mail records Kenneth Lloyd (along with his brother Norman) in P. II in the Queenstown Public Schools breakup in December 1929. He was dressed as a clown in the Fancy Dress Dance in December 1930, and again in the Poster & Fancy Dress Dance in December 1931. He was in Std 3 in 1932. Ken played the banjo (and his mother the piano) at a social function in Arthurs Point in January 1940 to farewell his brother Norman who was leaving to rejoin his ship H.M.S Leander. 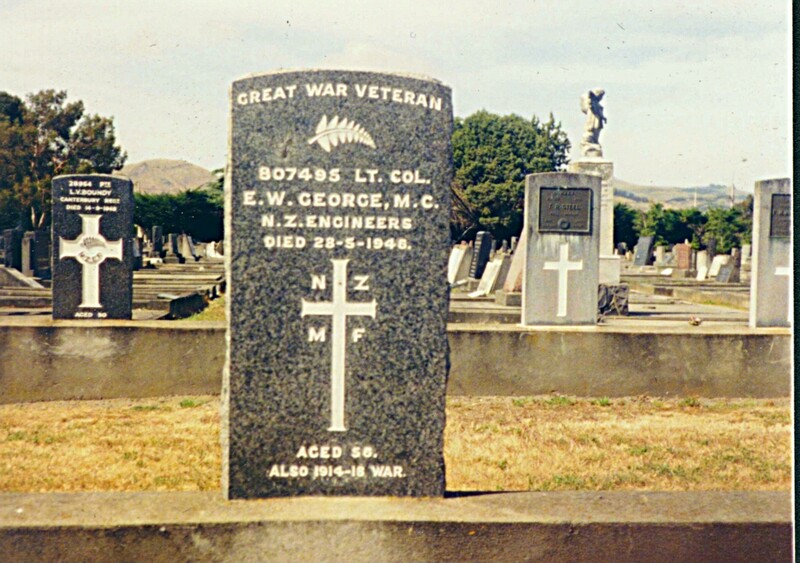 In 1940 the Lloyd family were farewelled from Arthurs Point. They moved to Monowai, where Robert Lloyd had a new job at the power station there. Monowai, south of Te Anau and Manapouri in Fiordland, was about as far from the war as you could get but the road into the power station was guarded by armed sentries. 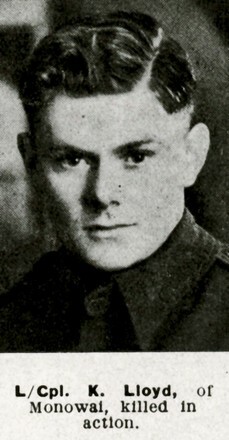 Ken enlisted in the Infantry Brigade and embarked with the Second New Zealand Expeditionary Force in 1943. He served in the Italian Campaign, and was killed in action in the Spring Offensive on 12 April 1945. The Germans surrendered in Italy on 2 May 1945. My father also served at the tail end of the war in Italy. Sappers from 6 Field Company began work before nightfall on the 11th on a bridge in 28 Battalion’s sector. Despite harassing sheil and mortar fire the approaches were bulldozed before it was dark, which allowed the bridging train to get to the site without delay. Within the next two hours two squadrons of 18 Armoured Regiment, 32 Anti-Tank Battery and 28 Battalion’s support weapons were safely over the river. A squadron of 20 Armoured Regiment crossed just before dawn on the 12th, followed by the third squadron of 18 Regiment. The other two squadrons of the 20th used a crossing in 6 Brigade’s sector, where much bulldozing had to be done before one Ark tank was placed on top of another to make a bridge. During the advance they met stronger opposition than had been expected—from tanks and machine guns. By about 5 p.m. on 12 April the New Zealand Division was firmly on its first objective just short of Massa Lombarda. German tanks, horse-drawn transport and motor vehicles, packed with men and gear, could be seen from the air retreating along the roads from the town. When General Freyberg learnt of the congestion of vehicles and guns trying to get away from Massa Lombarda, he telephoned Brigadiers Bonifant and Parkinson at 6.45 p.m. and told them to probe ahead; he also rang Brigadier Gentry (9 Brigade) and said it appeared the enemy was ‘pulling out on rather a big scale. Fifth Brigade attacked with 23 and 21 Battalions. The 21st had left its location near Lugo in the morning, crossed the Santerno in the evening, and passed through 28 Battalion, which went into reserve at Sant’ Agata. Supported by tanks of C Squadron of 18 Regiment, 21 Battalion entered Massa Lombarda shortly before midnight without meeting the enemy, and reached the objective about 1 a.m.
Reading through the detailed account of the advance I wonder at what stage my uncle may have been killed. It’s impossible to know. It seems unlucky to have been a casualty at that stage with the opposing forces largely in retreat, but millions of people were unlucky during World War 2. 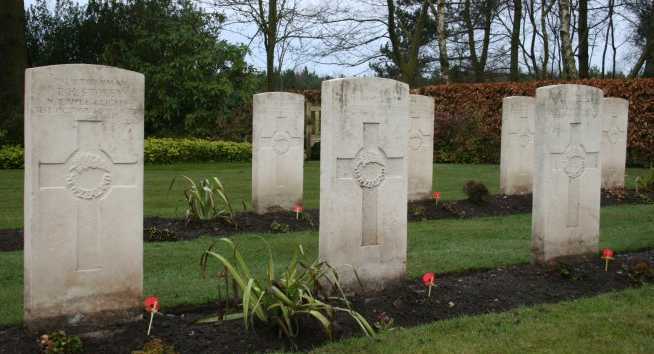 Ken is buried in the Faenza War Cemetery, along with 1151 other Commonwealth casualties. My mother visited her brother’s grave with my sister in the 1990s – there was a clap of thunder when they arrived at the cemetery, and another as they left. My second eldest brother, Norman, joined the Navy as a cadet at 15, but he was actually involved in the war right from the start when he was about 16 I think, which really ruined his life I think. He had some horrific experiences I believe. The only sort of news we were interested about was letters coming from his ships. Then my oldest brother Ken, he was man-powered into the army eventually and he was sent away off overseas. But we had great plans, when he came back from the war he was going to buy a farm and I was going to be his land girl and he was going to buy me a horse. …after that year went by they had what they called the Cow Club. They ran half a dozen cows from the village for milk and when I first started correspondence, my brother that was in the navy was home for some reason.I think he was probably an invalid at home, he was in a pretty bad way I think and he started milking the cows. Someone had to milk the cows, I think he got paid about a pound a month, something like that, for milking the cows and delivering the milk round these 14 houses. Then Norman went back to the navy again and I took over the cows myself, I used to milk the cows in the morning and night and deliver the milk. I used to love it, I loved working with the animals. Animals and farming was my life. I was just dying for Ken to come home again so that we could get into the farm life. Before he got into the army he had been man-powered into working at the Fortrose Dairy Factory and that’s where he really wanted to have a farm. He talked of it once or twice, I thought I didn’t really care where he goes as long as he has a horse and a cow there, a dog and cat, but it would have been easier in those days to get into a farm. My mother was 12 at the time Ken left for the war, 14 when he was killed. Dreams dashed. The wars changed a lot of things for many people. I had never heard of England’s ‘angel roofs’ (the BBC uses roofs rather than rooves so I have too) until I saw this article this morning. England’s 500-year-old angel roofs are striking – and all but unknown. Michael Rimmer’s photographs provide a rare chance to encounter their beauty up close. Think of medieval England’s finest gems, and castles probably come to mind first. But the country has another type of treasure that few people know about: angel roofs. Built between 1395 and the English Reformation of the mid-1500s, these roofs are decorated with intricately carved wooden angels. Only 170 survive today. Because so little of the art from England’s medieval churches survived the Reformation, that still makes these cherubim “the largest surviving body of major English medieval wood sculpture”, writes photographer and expert Michael Rimmer in his book The Angel Roofs of East Anglia: Unseen Masterpieces of the Middle Ages. But the roofs remain seen by few; even those who visit the churches don’t always catch their details. “Distance and lighting make it hard to appreciate the detail of angel roofs with the naked eye, or even with binoculars. Were they as accessible and visible as, say, the Renaissance paintings in Italian churches, I think the best of them would be just as highly celebrated,” Rimmer writes. There are many churches and cathedrals in Europe that are amazing, but I think they are often bombastic and overdone. I haven’t seen any in England but I’ve been to Rome and seen the Vatican and St Peters, and to Florence and to Venice and seen some amazing architecture there. But it’s easy to become jaded by too big and too much. The last two churches I saw in Italy were the smallest and one the oldest, but I liked them more than the bigger examples. We arrived at a church in Ravenna on a Sunday just as the morning service was ending and the choir was still singing. Being alive with people made a big difference. The last was near there – the Basilica of Sant’Apollinare in Classe. and this was as impressive as any in it’s austerity. It dates back to 549 and has is famous for it’s early mosaics. 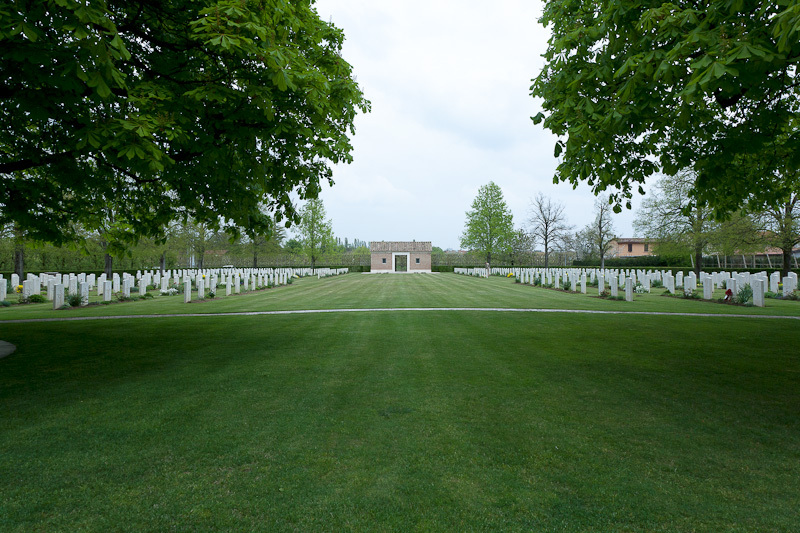 I have a loose connection to this part of Italy, one of my uncles is buried in a war cemetery nearby at Faenza. The angel roofs of England remind me of earlier simpler (relatively) efforts, which I appreciate more than the out of control attempts to outdo Christ’s ideals by a long way. Further to Silver fern emblem used in Boer War that shows that the silver fern has been a significant military emblem for over a hundred years (since the 1899/1902 Boer War) here are more examples of it’s use. The first headstone is my Grandfather and I have an uncle buried at Faenza. I’d be proud to have the silver fern as the emblem that represents New Zealand via our flag. One of the main complaints about the common silver fern on a black flag is the colour, or lack of. 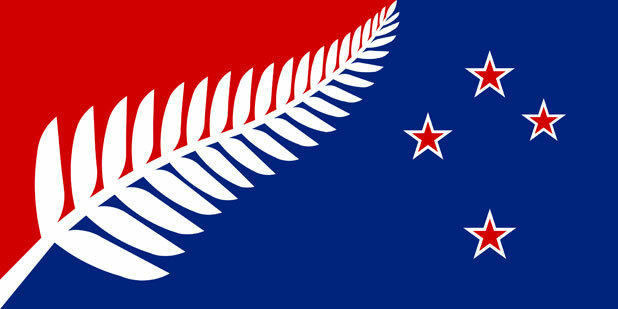 This design is probably the best balance of fern with current colours and also retaining the Southern Cross. Kyle Lockwood, an architectural designer from Wellington, has won a clutch of new flag design polls for his silver fern flag. A silver fern was more representative of New Zealand than a Union Jack, he said – but a new flag should be colourful, not black and white. I’d be happy to switch to Lockwood’s flag.